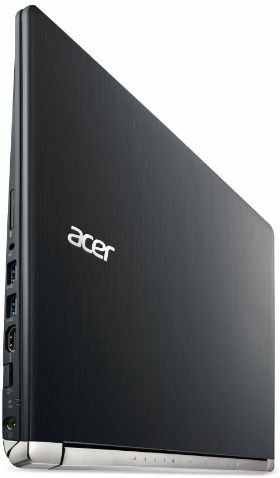 Positive: High-performance graphics; powerful speakers; good IPS-display. 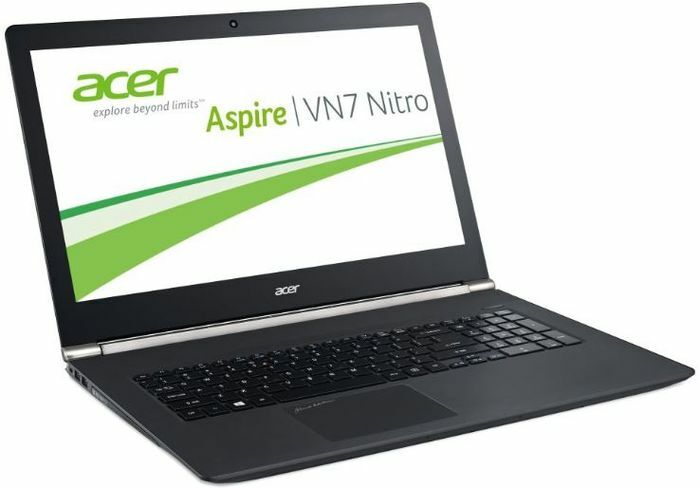 The Aspire V17 Nitro by Acer is a gaming laptop in a class of its own. This gaming machine has a 17.3 inch Full HD screen with a resolution of 1920 x 1080. It features an Intel Core i7 quad core processor with a clock rate of up to 3.5 GHz with its Turbo mode, and 12 GB of RAM. As for data storage, there is the hybrid hard drive with a capacity of 1 TB and 8 GB flash memory for the operating system. The operating system used is Windows 8.1 by Microsoft. This notebook is equipped with two USB 3.0, two USB 2.0 ports and an HDMI port. 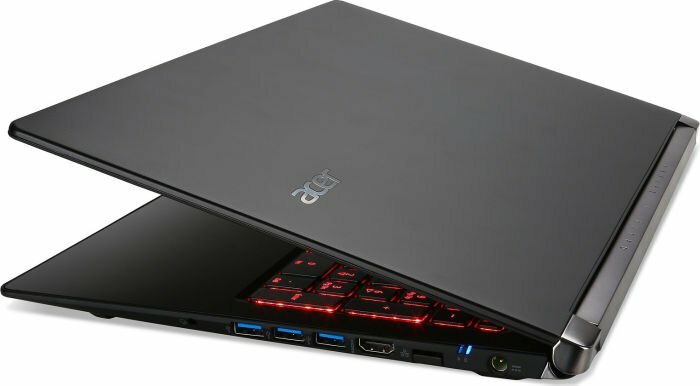 The key feature that makes this device a gaming laptop is the NVIDIA GeForce GTX 860M graphic card with 2 GB dedicated DDR5 VRAM. The exterior is from black plastic with a matte finish, which gives the V17 an elegant look. 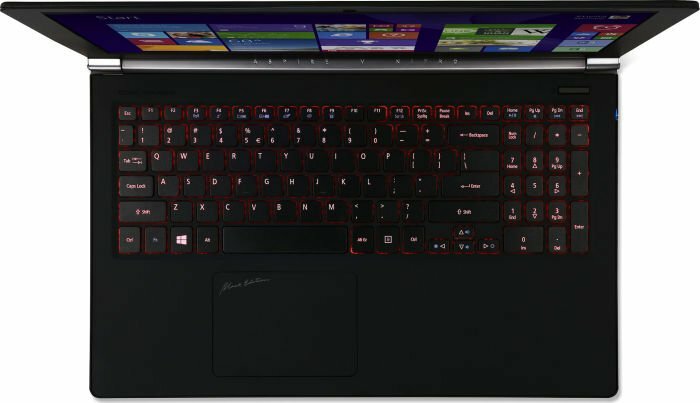 The keyboard has a red backlight, which makes gaming in the dark possible. The 3 cell battery with a capacity of 4605 mAh can last about 4 hours on regular use. The weight of this gaming laptop is only 3 kg and it has a maximum height of 28 mm with the lid closed. 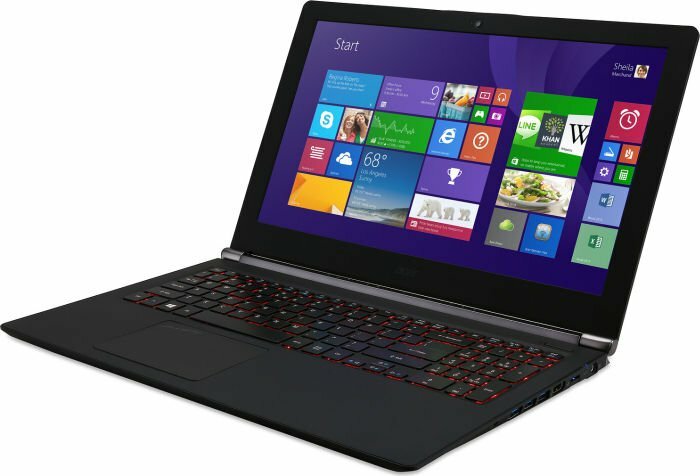 Lastly, this notebook has a Blu Ray drive, which makes this gaming notebook a multifunctional device. 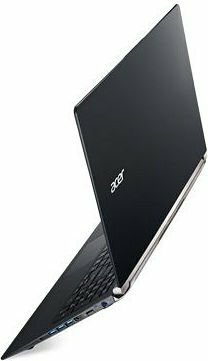 This a great option for those seeking a large, powerful all-rounder of a laptop that can turn its hand to just about anything. Whether it’s gaming for the kids, powering through your work or just sitting back and watching the latest episode of Game of Thrones on a nice big HD screen, it can do the lot. This it backs up with a smart if not altogether premium look and the addition of Intel’s RealSense camera is both a bit of fun and potentially a useful extra when new software and Windows 10 arrives. 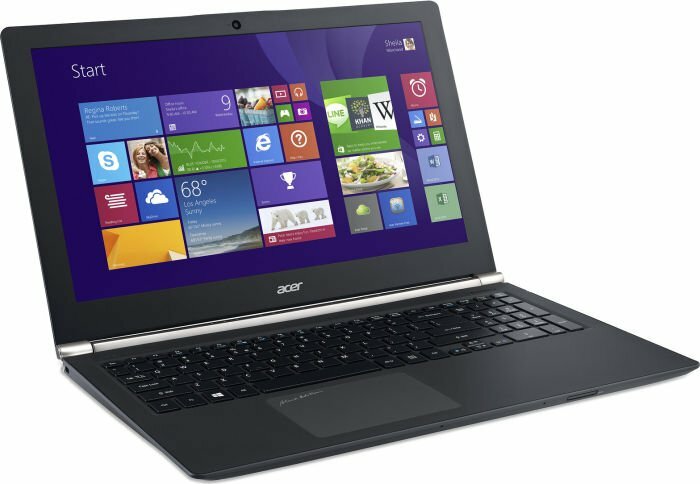 Positive: Good gaming laptop - primarily in terms of price and quality; good IPS-screen. Negative: Poor touchpad; high price. Positive: Great design and quality workmanship; quality IPS screen with high contrast and brightness; powerful hardware for the price; 3D camera. Negative: Impractical available ports; hot under load. The Acer Aspire V Nitro 7-791G-70TW is a high performance laptop, which has been slightly upgraded over its predecessor. Design is kept similar with an all-black chassis with a silver hinge highlight that accents the look well. The lid is simple, which seems to be the current trend of most laptops. 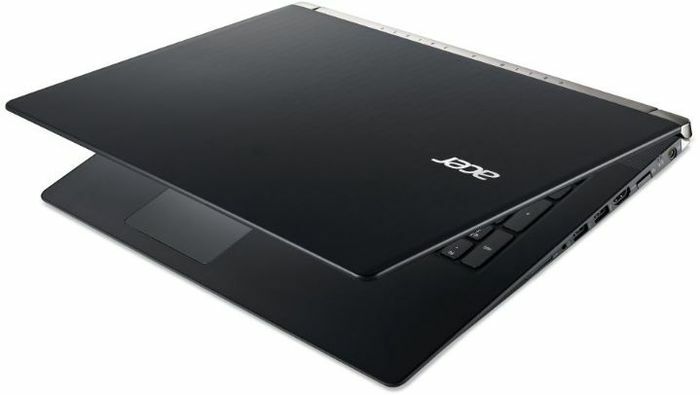 There is a chiclet-style keyboard with red LED backlight and the overall weight of the device is around 2.9 kg. The 17.3 inch IPS panel delivers good clarity, colors and even a slight contrast boost compared to the predecessor. 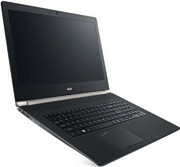 Do not let the sleek profile fool you as the laptop packs in a considerable amount of firepower. Gaming users will appreciate the Intel Core i7-4720HQ processor clocked at 2.6 GHz, 16 GB dual-channel DDR3 SDRAM, an Nvidia GeForce GTX960M and the 256 GB SSD + 1 TB HDD combo. 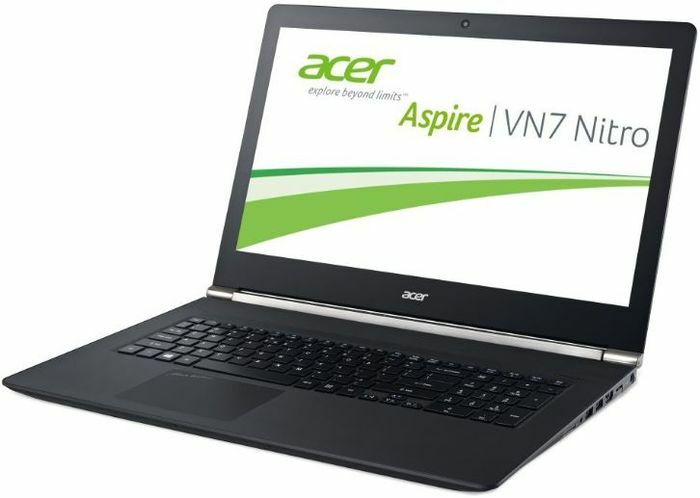 The Acer Aspire V Nitro 7-791G-70TW can certainly satisfy the moderate gamer looking to kill some time in addition to being productive on the laptop. Other features include Bluetooth 4.0, two USB 2.0 ports, two USB 3.0 ports, a card reader and an optical drive. 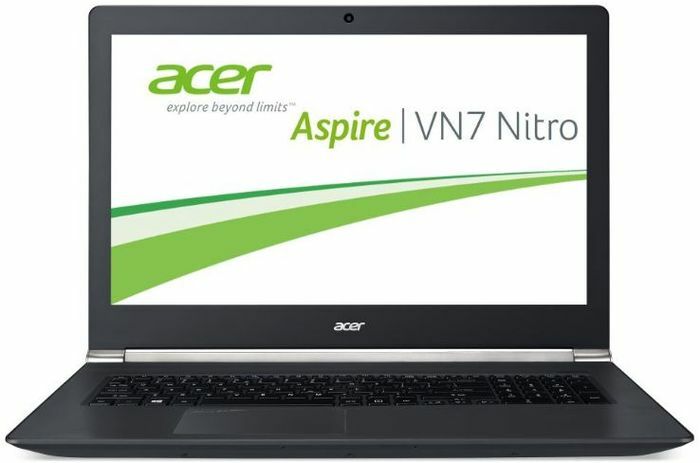 The Acer Aspire V Nitro 7-791G-70TW comes with a 3-cell Lithium-Ion battery and operates on Windows 8.1 64 bit. Not much more powerful. 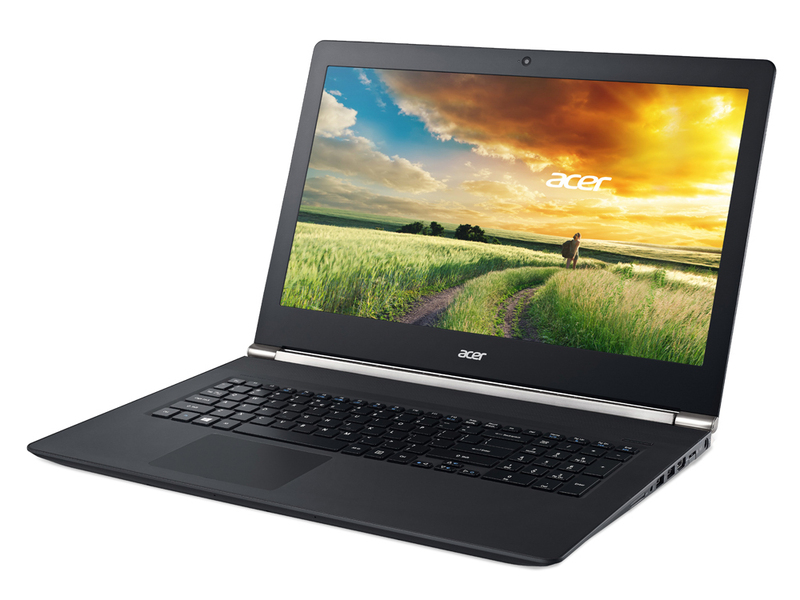 On paper, the powerful hardware upgrade of Acer's Nitro series seems appealing. Although, the performance has not improved in the synthetic benchmarks, gamers might appreciate more fps and a higher display contrast. 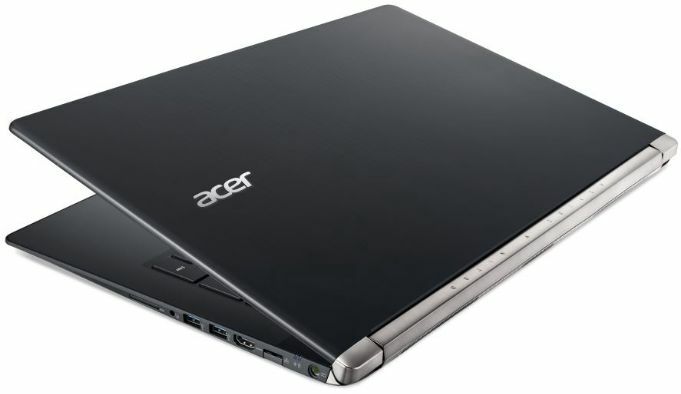 Positive: Combination of SSD and a large hard disk; passive cooling system; good speakers; rapid touchpad. Negative: Forced dynamic contrast display; hot under load. NVIDIA GeForce GTX 860M: Upper mid-range graphics card from the GeForce GTX 800M series.NVIDIA GeForce GTX 960M: Upper mid-range graphics card of the GeForce GTX 900M series.» Further information can be found in our Comparison of Mobile Graphics Cards and the corresponding Benchmark List. 80.43%: This rating should be considered to be average. This is because the proportion of notebooks which have a higher rating is approximately equal to the proportion which have a lower rating.» Further information can be found in our Notebook Purchase Guide.